Dave Haslett’s studio, #17 in the guide, is a garden of monumental treasures and raw stones in various stages of completion. Some sculptures reach 9 feet high and others are pedestal pieces for the living room. From the beginning stone, you’ll see how Dave “listens” to it to create gentle curves out of very hard surfaces. The creative process is a powerful force about learning and seeing. Demonstrations will occur all three days. His diamond tipped chainsaw and the core drill will be set up for you to see. Dave Haslett’s work is included in many public and private collections. He does special commissions too. Dave’s work is found at the Olga Art Works on Orcas Island, the Blackfish Gallery in La Conner, Washington, in the Portland Art Museum Rental Sales Gallery in Oregon, and the Gail Severn Gallery in Sun Valley, Idaho. 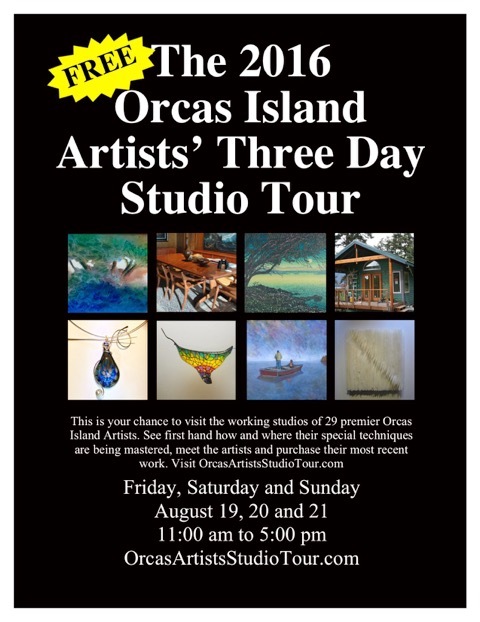 This is the rare chance to visit Orcastone Studios and see, up close, how they are sculpted, right here on Orcas Island!